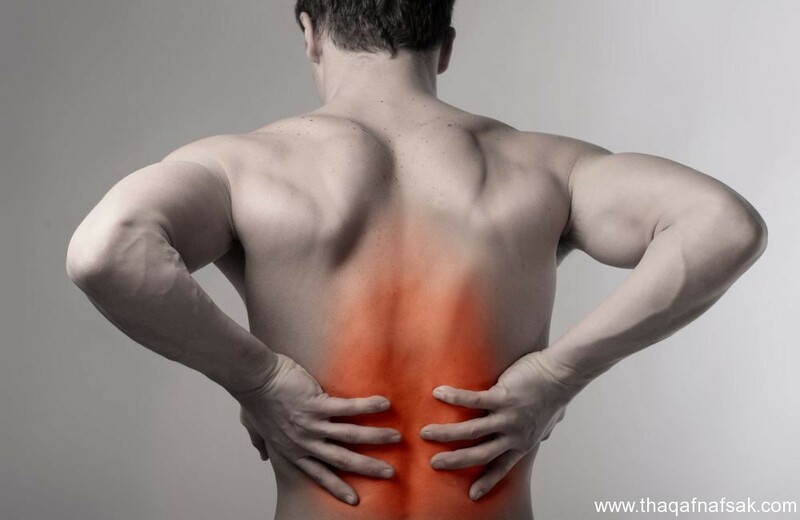 Many suffer from back pain and have been tested by everyone at least once and the extent of the pain felt by the different causes of the causes of back pain. But the good news is that it can be avoided or treated simply, but first we need to know what causes back pain and what is appropriate treatment and how to prevent, where back pain is a common health problems among different individuals, both young and old. There are some symptoms of back pain, pain In the back, pain around the knees, decreased backbone flexibility, lack of sleep. Back pain can occur for many reasons including muscle tension, improper diet, lack of physical activity, arthritis, excessive physical activity, erratic posture, pregnancy. Some malpractice with the skeleton may result in significant loading on the spine, leading to one side, leading to back pain, but often a rare condition. Antidepressants: Depression causes a lot of tension and muscle cramping in the body, which can lead to back pain. The doctor may prescribe some antidepressants to relieve pain as they affect pain signals in the body. Applying ice to painful places may help get rid of infections every few days for at least 20 minutes at a time and try to apply the heat some other day using some thermal pillows that increase the blood flow in the area, which helps to revitalize and relax. When you feel back pain, you may feel the difficulty of doing activities day after day, but natural remedies provide the body with quick natural relief from the pain and enjoy life again. Ginger root, which is used as a remedy for the eye, can also be used in the treatment of back pain, because ginger contains anti-inflammatory compounds, which works to relieve back pain. Apply a paste of ginger powder to the affected area, then apply camphor oil. Cut the ginger into slices and place in a bowl of boiling water, leave it on low heat and leave on fire until boiling for 5-10 minutes. Leave the mixture until it cools and becomes like room temperature. Then add honey to it and eat it directly. You can take ginger tea every day two or three times for a few days until you see improvement. You can make herbal tea and add half a small hanging of black pepper and half a small hanging of cloves and a small hanging of ginger powder. Basil leaves: Basil leaves can also ease back pain easily. Add 8 – 10 leaves basil and put in a glass of water and leave it to boil and evaporate and reach the amount of water by half. Leave it cool until room temperature then add a little salt. Then taken twice a day to relieve pain. Herbal Oil: You can massage your back with herbal oil to help your muscles relax and relieve pain. You can use any herbal oil like camphor oil, almond oil, olive oil, coconut oil. Just heat the oil on low heat and gently massage the painful areas. Garlic: Garlic, another natural ingredient that helps relieve pain. Eat 2-3 cloves of garlic every morning on an empty stomach. Or back massage with garlic oil. You can mix the garlic oil with coconut oil, mustard oil or sesame oil on a low heat and add 10 garlic cloves to them and fry until the color of garlic brown, the oil is extracted and left to cool at room temperature, and then gently massage the back with oil, Leave it for a while, then wash the back. Wheat: Wheat contains compounds that act on the toxin and soothe the pain. Soak a handful of wheat in the water all night. In the morning, put the coriander seeds, add a cup of milk and boil for a few minutes to heat, and drink the mixture twice a day. Cold compresses do not become effective in relieving pain without using ice. You can also use a bag of frozen vegetables. Place a bowl of ice in a plastic bag and wrap it in a towel and put it on the affected areas for 10 to 15 minutes. Repeat this continuously but leave half an hour between each time. Similarly you can apply hot pads, to relieve back pain. English salt: English salt can relieve pain and inflammation. Just mix English salt with hot water to make a thick paste, soak a towel into the mixture, then put the towel on your back in place. You can also relieve the pain by soaking 2 cups of English salt in the bath water and soak your back for an hour or Two. Chamomile Tea: A cup of hot chamomile tea helps to relax the muscles that are tense and cause back pain. Place a large chamomile in a cup of boiling water and leave for 10 minutes. You can eat 1-3 cups daily. Milk: Milk is a rich source of calcium that your body needs to strengthen your healthy bones and muscles. So make sure your body gets enough milk. You can eat milk and sweeten it with a little honey. Try these different treatments as they are successful in controlling pain.